Just before midnight on Christmas, Naomi and I went out on the deck to enjoy the unseasonably warm weather. 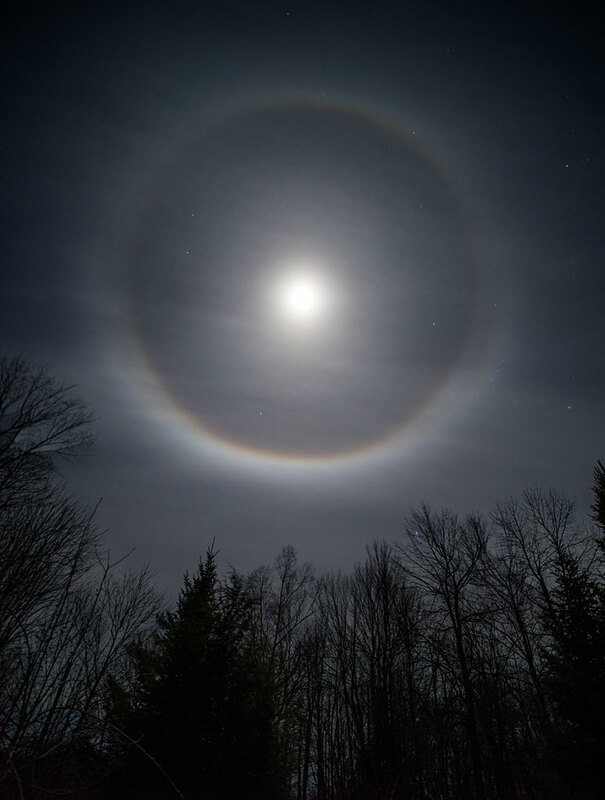 The moon was full and, with high-altitude clouds, encircled in a ring of light. Beyond the moon was a field of stars. (Orion can be at four O’clock.) Click on the image for a larger view.